Founded in 1857, W & A Gilbey began in small basement cellars in London as wine importers and distillers. Gilbey’s secured a Dublin premises and by 1861 were carrying over 140 different wines with 700 - 1,000 wine casks under bond. While initially famous for their wines, spirits were becoming a greater part of the business and by 1874, they had more than 300,000 gallons of Dublin Distilleries whiskey under bond. A reflection of the pre-eminence of Irish Whiskey at the time, Gilbey’s were selling 83,000 cases of Irish whiskey compared with only 38,000 of Scotch. The first official ‘Redbreast’ brand name reference appears in 1912. The name refers to the Robin Redbreast bird, so named by the Chairman of Gilbey’s who was an avid birdwatcher and one of the few birds robust enough in character to stay put for an Irish winter. In 1970, Irish Distillers Ltd. (IDL) phased out bulk whiskey sales ‘by the cask’ to wholesalers and bonders who bottled it themselves. Due to increased export demand, Gilbey’s persuaded IDL to continue supplying them pure pot still whiskey for Redbreast until the 1971 closure of Bow Street Distillery. The last bottling of Redbreast under Gilbey's banner occurred in 1985 as in 1986 Gilbey's sold the brand name to IDL. In December 1991, IDL re-launched Redbreast with a thorough makeover from IDL’s revamped wood programme. The flawless pot still distillate from Midleton Distillery was now maturing in only the finest sherry and bourbon casks. Whiskey writer Michael Jackson said "IDL relaunched Redbreast as a 12YO. This is traditional Irish pot-still at its richest: well matured and with a generous slug of sherry. For some lovers of this style, Redbreast approaches perfection." The art of Single Pot Still Whiskey has been safeguarded and nurtured under the watchful eye of the Midleton Distillery for almost two hundred years and Redbreast is proudly considered the definitive expression of Irish spirit and whiskey making. 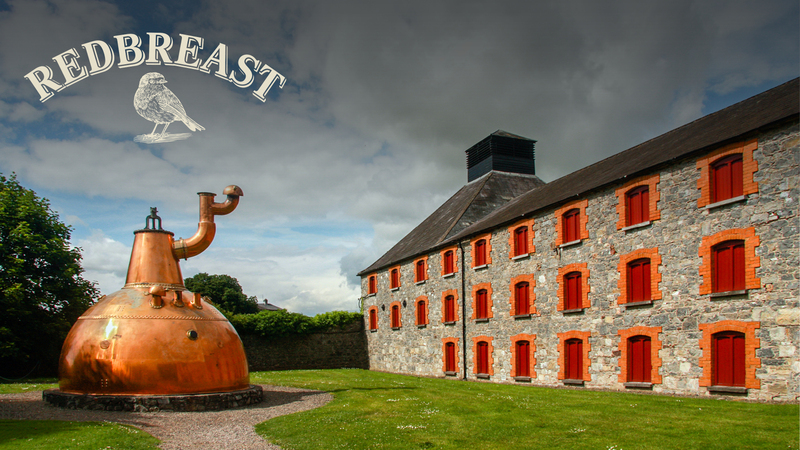 Today, Redbreast is the largest selling Single Pot Still Irish Whiskey built on a loyal following of those in the know. Redbreast Irish whiskey is made using a mix of malted and unmalted Barley sourced predominantly from farms within the Munster region surrounding the Midleton distillery (one of the few in the world using unmalted barley). The English Malt tax is widely given as the reason for using unmalted barley as it made whiskey production cheaper. However, it does impart a silky or creamy mouthfeel to the whiskey that is difficult to achieve from malted barley, and also adds a spiciness that marks out Irish whiskey. The first distillation of the Whiskey takes place in the wash still, into which the wash is added, and heat is applied. The spirit captured from the wash still (now known as low wines), is fed into the second or feints still. Finally, and almost unique to Ireland, the feints are fed into the third or spirits still. The spirit is then filled into oak casks for maturation. The Master of Maturation covers many key elements, from sourcing of the wood, to sampling, to the crucial decision as to when a whiskey is ready to be woken up. During these long sleeps, the ex bourbon and ex sherry casks, impart their distinctive flavours, colours and aromas. Head Blenders then blend all the whiskeys, cask types, distillate types and flavours to form the exact notes, colours and aromas of each Redbreast. While the permanent expressions of the Redbreast family all share the same DNA, each one has their own unique and distinct characteristics. Check out the varying stages of creating redbreast here. 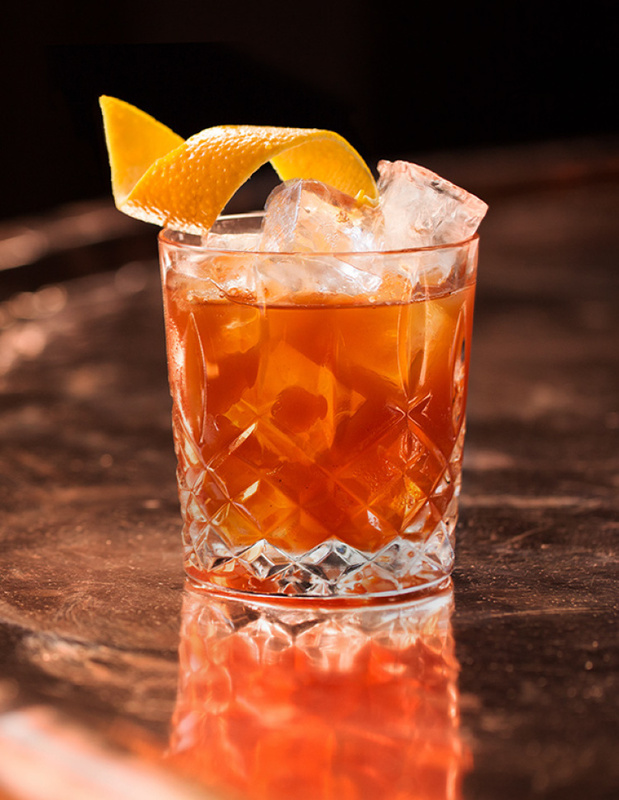 Everyone enjoys whiskey in a different way and how you enjoy Redbreast is up to you, our recommendation is neat or on the rocks, but we've also suggested some unique Redbreast cocktails. 1920’s Ireland was a time of political turmoil and economic uncertainty. Money was tight and fine whiskeys were a luxury. Yet the country’s clergy enjoyed a life of status and comfort so much so that Redbreast became known as “The Priest’s Bottle”. Clearly, individuals of both spiritual and gastronomic enlightenment. Halve 3 oranges and place in oven for two hours. Remove dish from oven and add tawny port, castor sugar and cloves. Bake for a further 20 minutes. Allow to cool before straining through a sieve. Mix the Redbreast and Bishop Syrup with rock ice in a cocktail mixer. To serve, pour over rock of ice. See more delicious ways to enjoy here.